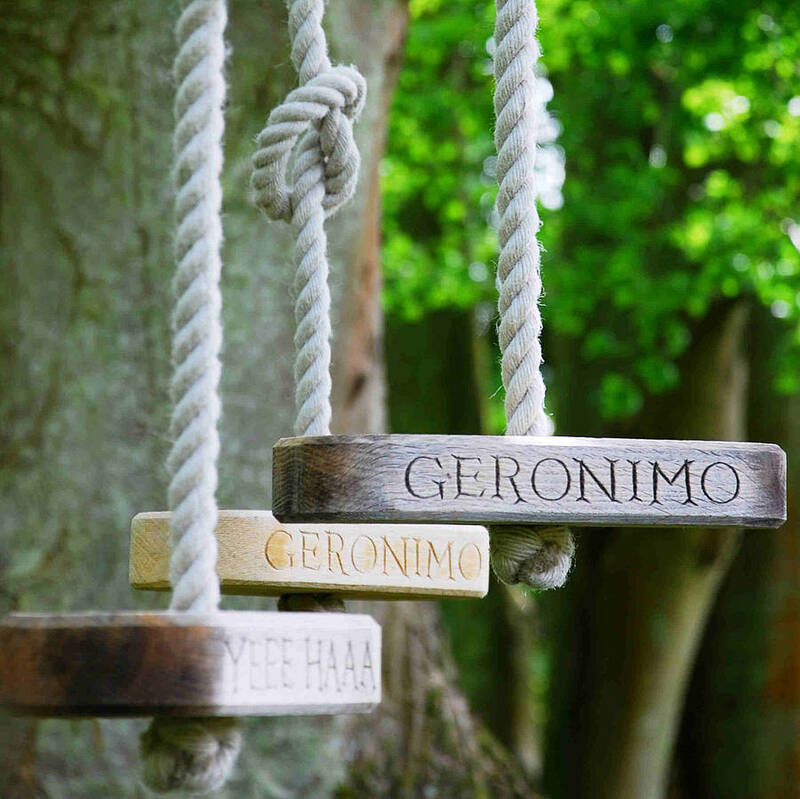 Furniture designer Marnie Moyle created this Monkey Swing for the best fun. Made with English oak at her Berkshire Downs workshop and supplied with a 5m drop of crafted English crafted rope. Knowing it is details that make a simple thing so special. As with all of Marnie's oak work, the swings were made to be left outdoors throughout the seasons. With time her work will silver and the timber will move and the swing will soon appear as if it had always belonged. 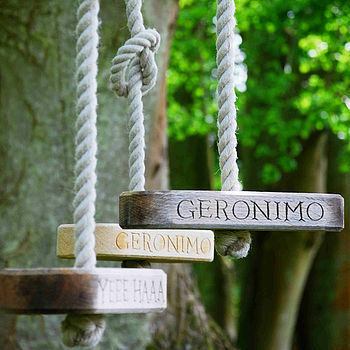 Geronimo or Yeee Haaa swing orders are sent on a Wednesday to arrive by courier the next day.